The Greek label Repulsive Echo, which are about to become specialized in reviving old Death Metal classics, never before to be found on vinyl, on vinyl, have started working on their third release. The first ever vinyl version of the American technical Death Metal band from Chicago OPPRESSOR’s legendary debut full length “Solstice Of Oppression”, originally released on CD by Red Light Recordsin 1994. I got into the band with the release of “Agony” in 1996 by Olympic Recordings, which also released the band’s third and final album “Elements Of Corrosion” in 1998, before the band called it quits. Though now will the first and extremely well performed album finally be available on vinyl. 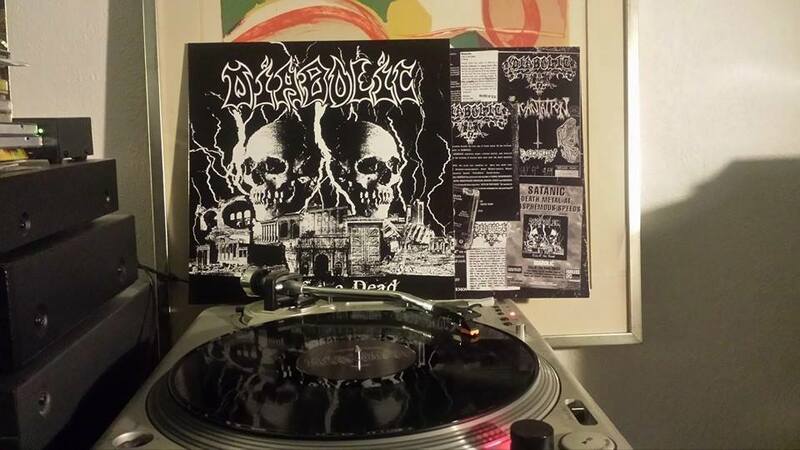 I stumbled across Repulsive Echo when I one day saw that DIABOLIC’s really good demo “City Of The Dead” had received a vinyl release. I had been on the look for the CD released by Fadeless Records for ages, as I were too slow again, to obtain the demo when that first was released, though I never succeded with finding any version until the vinyl release. 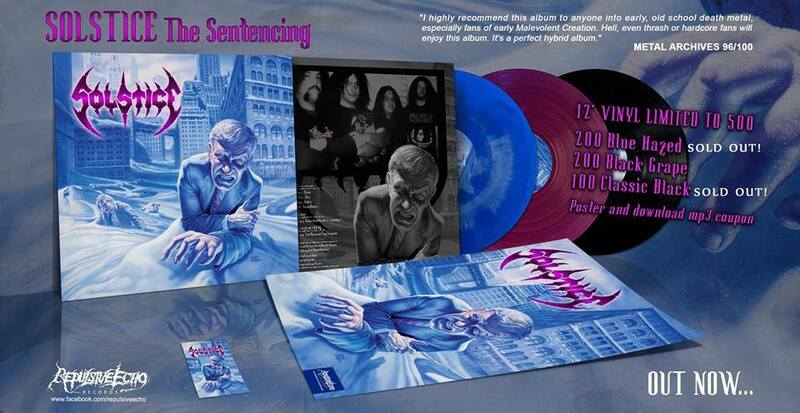 As I write, Repulsive Echo has just released the vinyl version of another American legendary band’s first album. The self titled album by the Florida Death/Thrashers SOLSTICE, now entitled “The Sentencing”, a band that featured, at the time Rob Barrett, Mark Van Erp, Dennis Munoz and Alex Marquez, men which you all should know from their stints with bands as MALEVOLENT CREATION, HATEPLOW, CANNIBAL CORPSE, DEMOLITION HAMMER, CYNIC, MONSTROSITY and DIVINE EMPIRE to mention a few, besides all the good the did in SOLSTICE. I am eagerly awaiting that one to hit Aalborg as we speak.